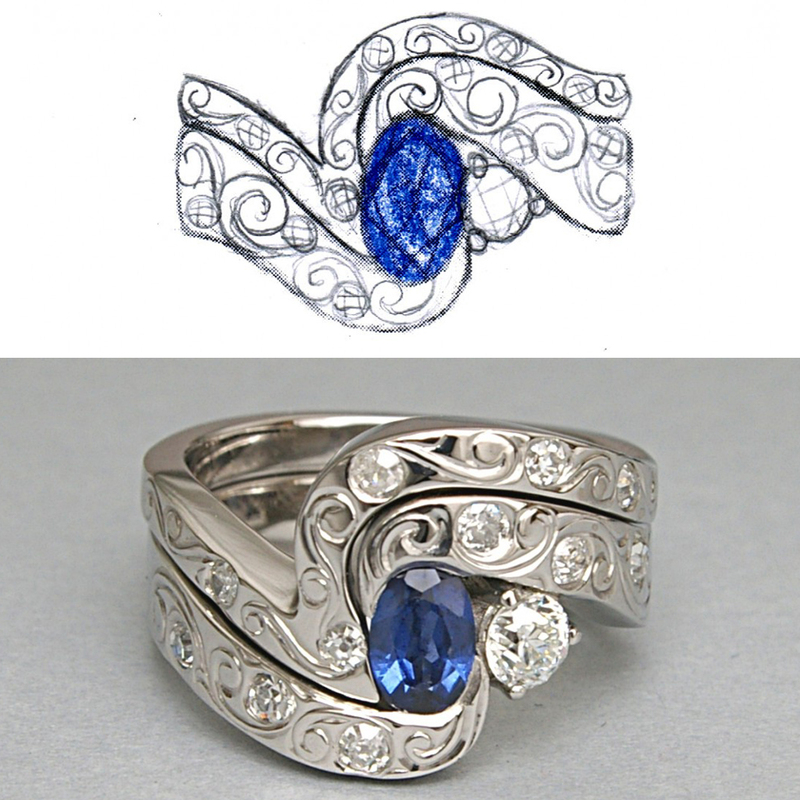 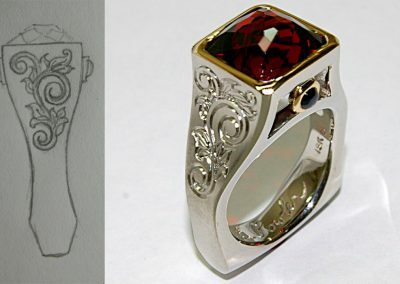 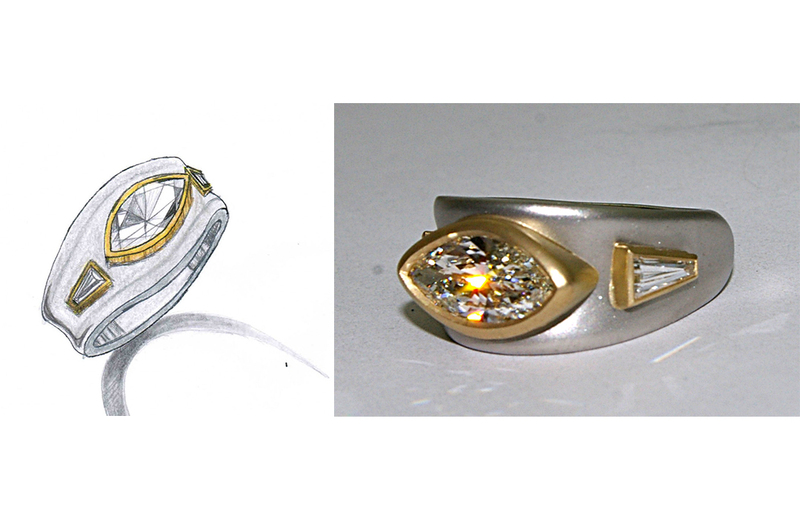 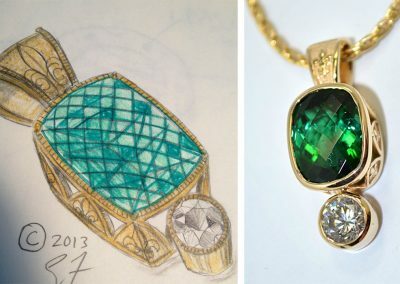 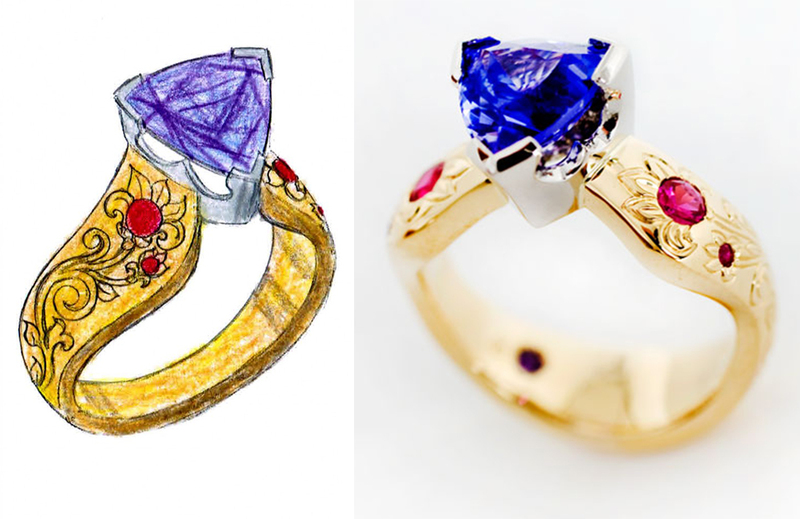 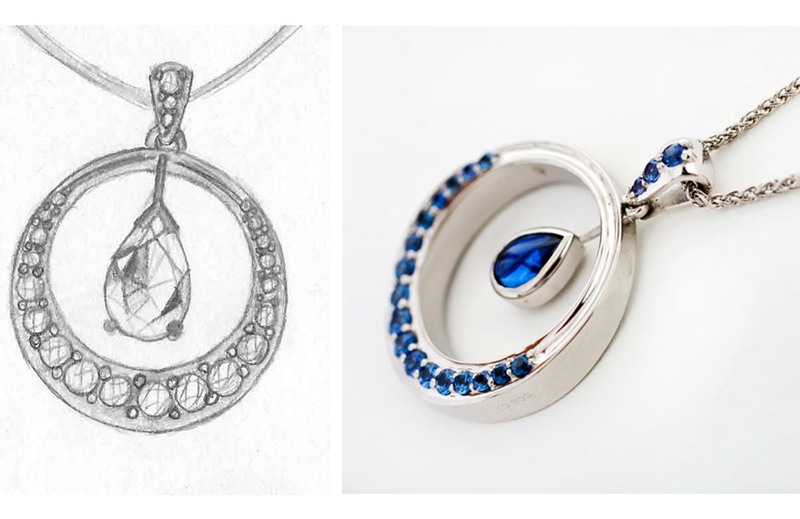 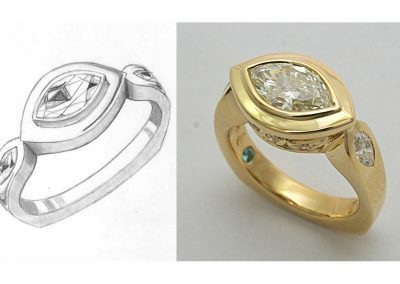 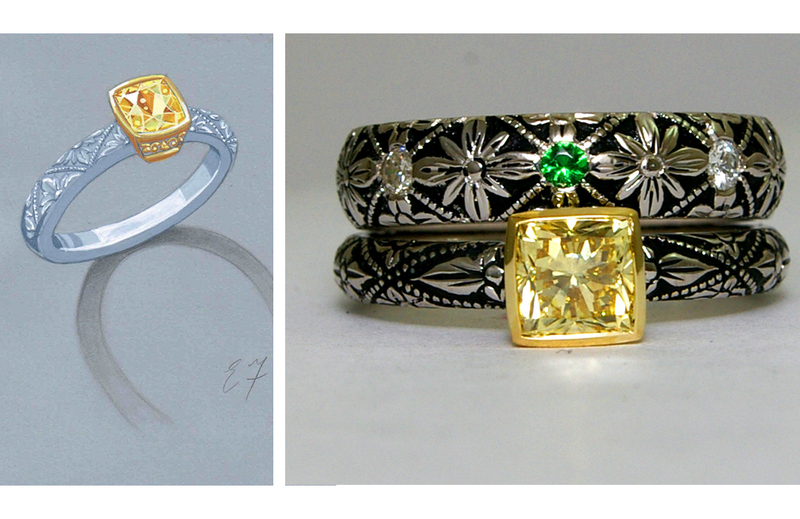 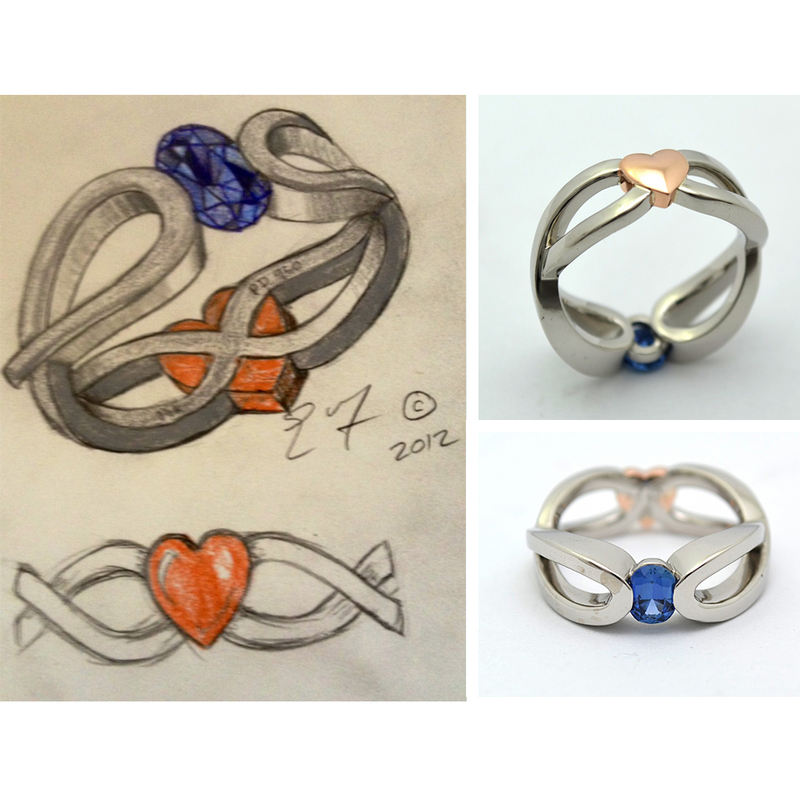 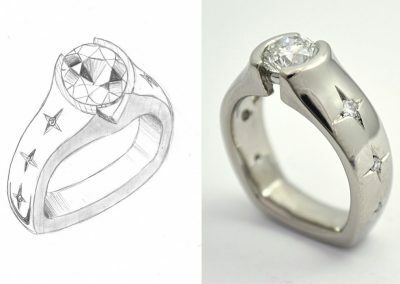 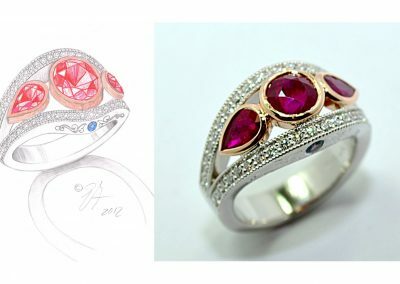 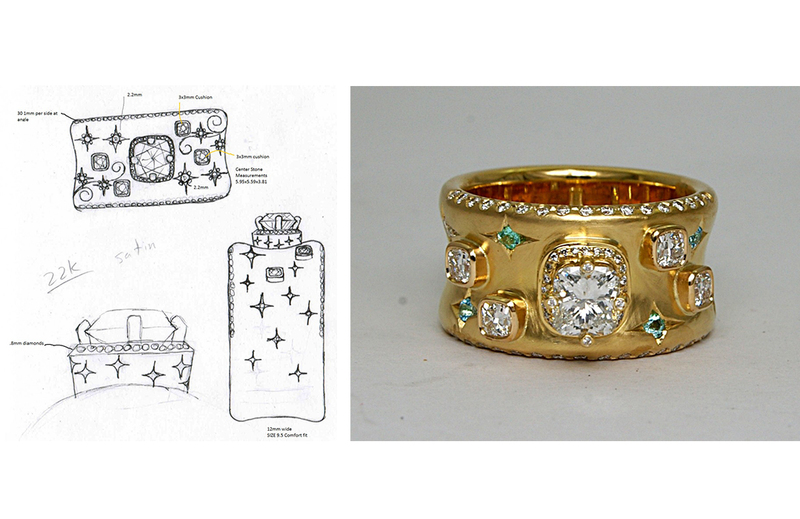 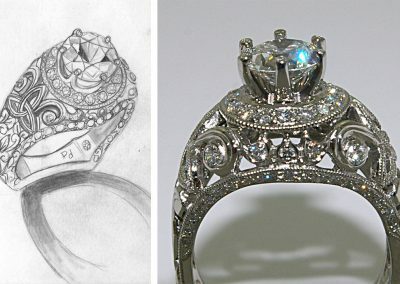 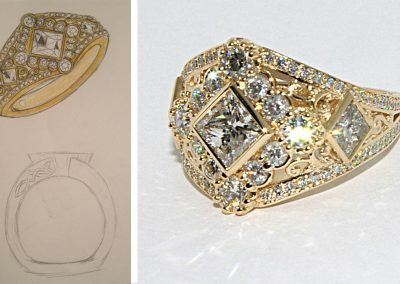 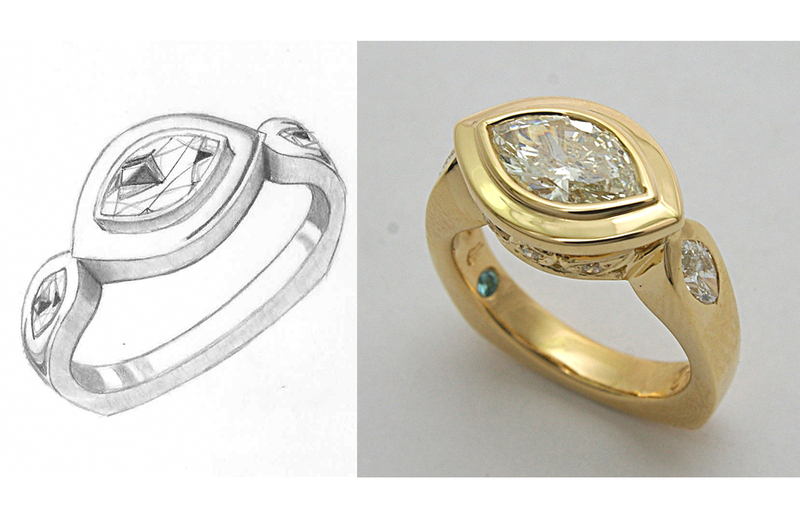 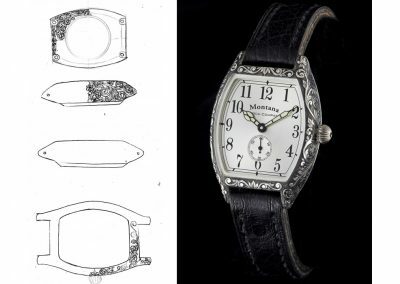 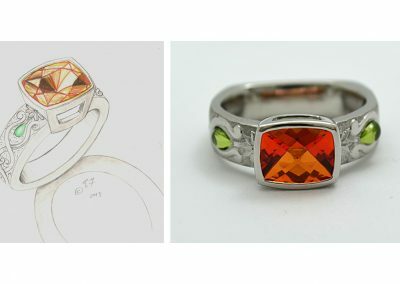 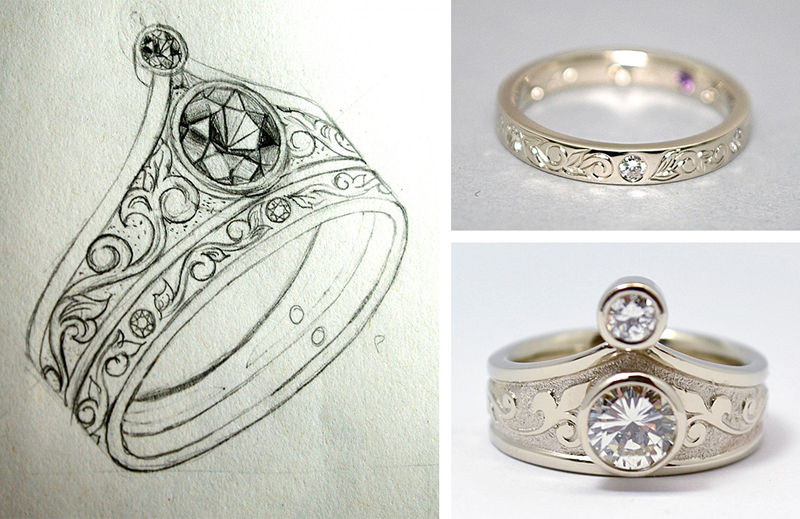 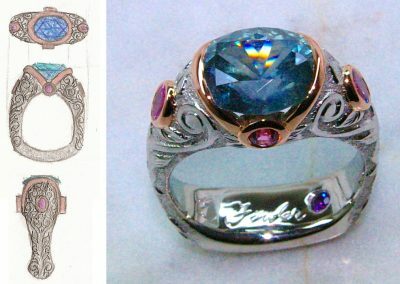 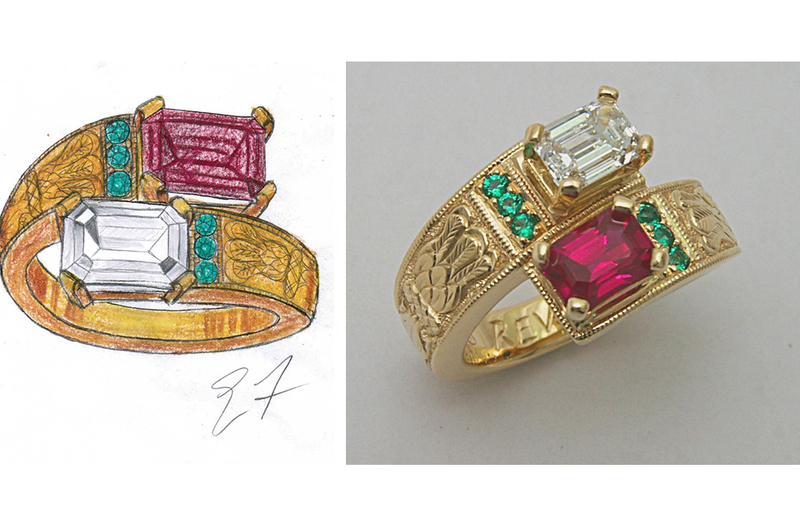 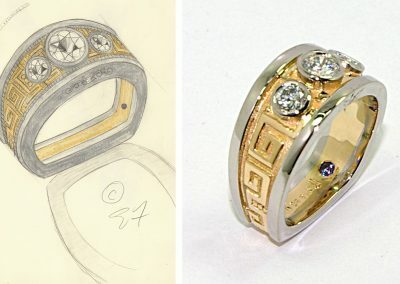 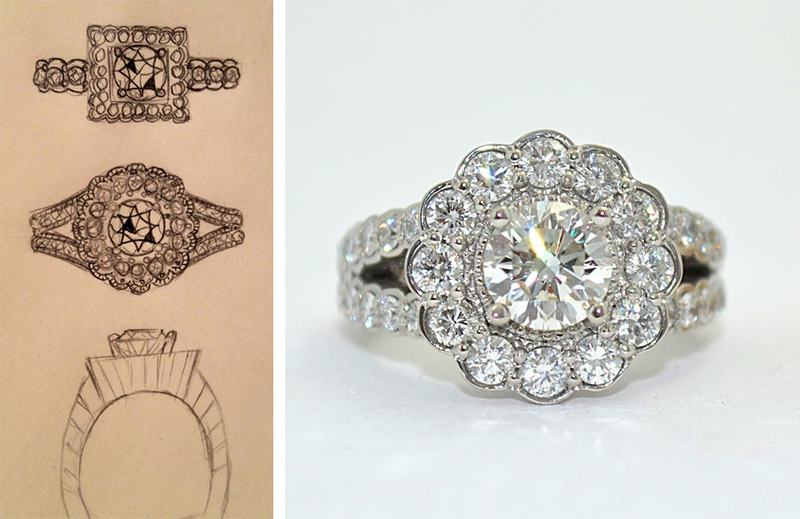 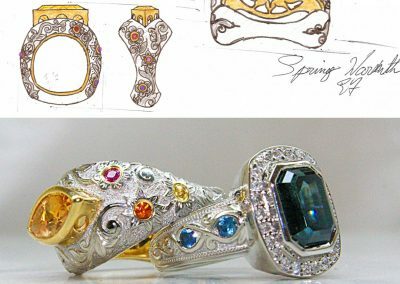 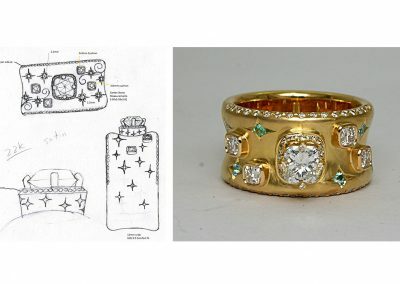 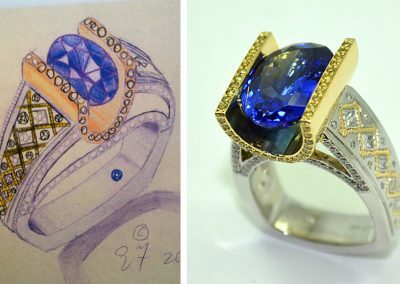 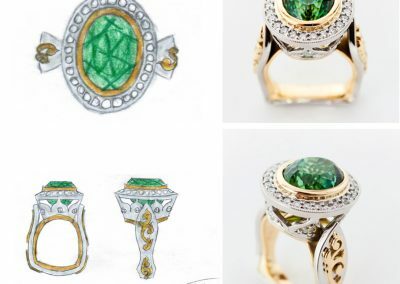 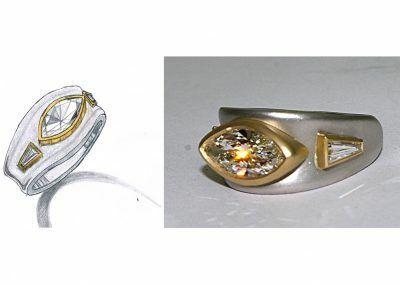 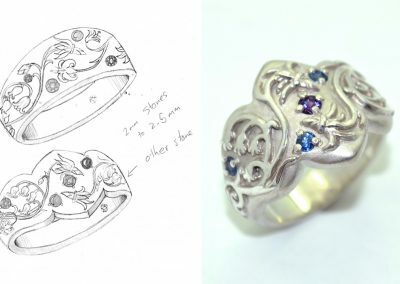 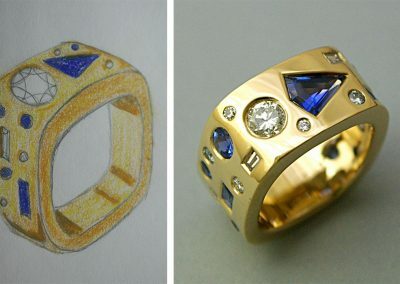 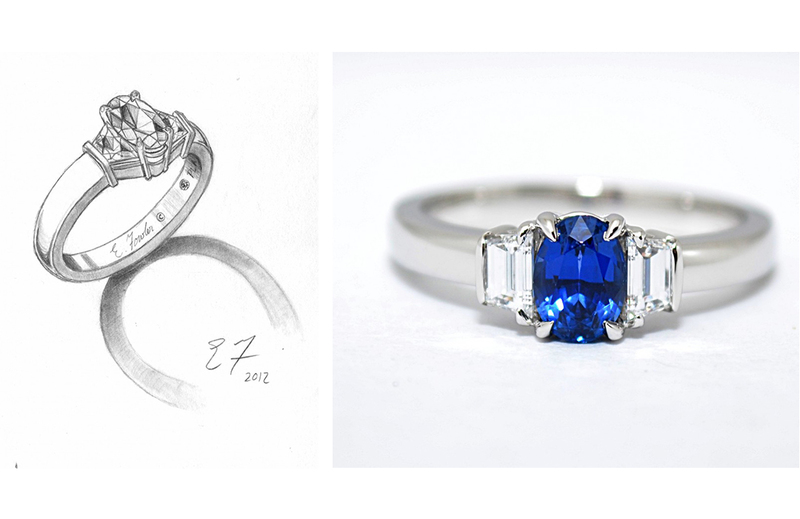 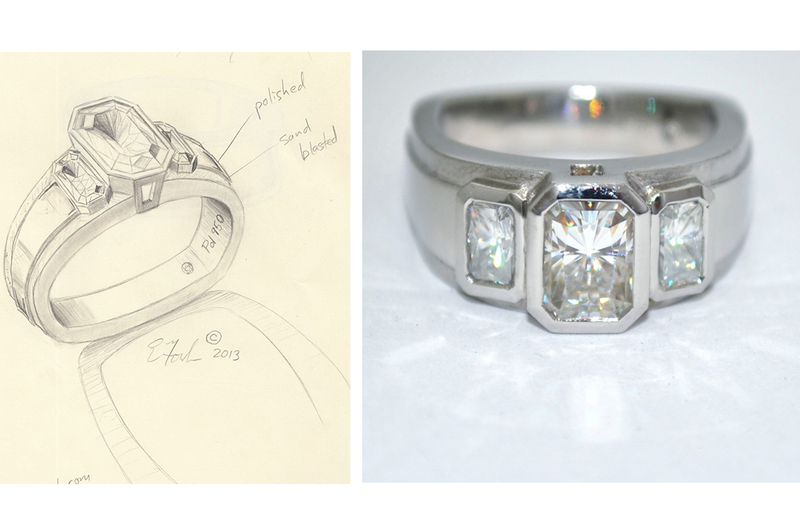 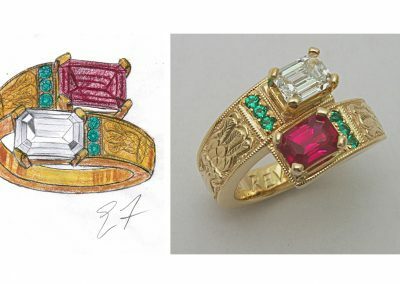 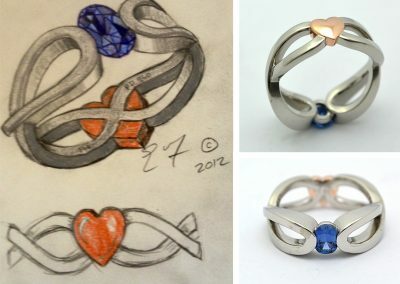 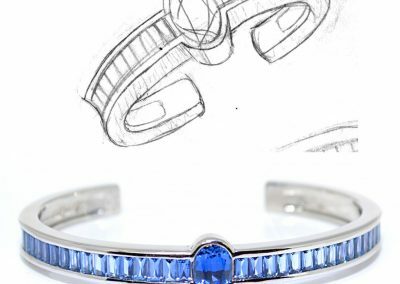 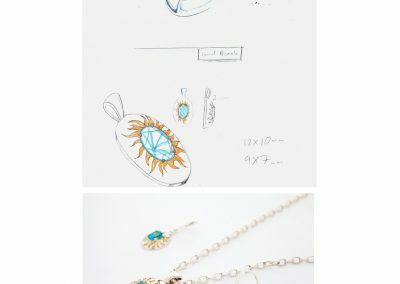 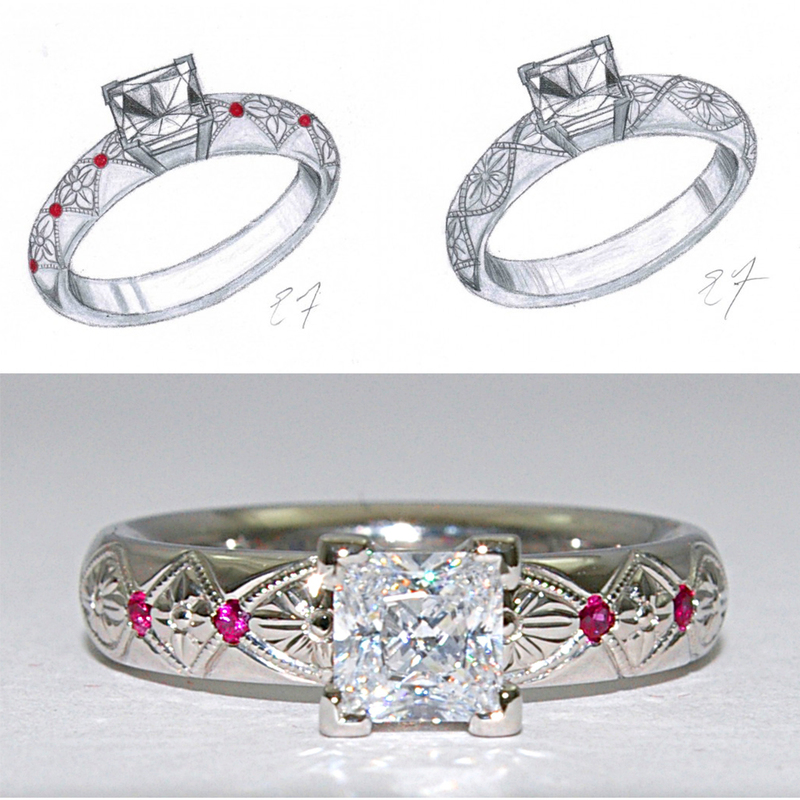 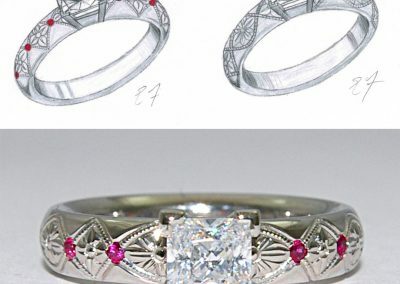 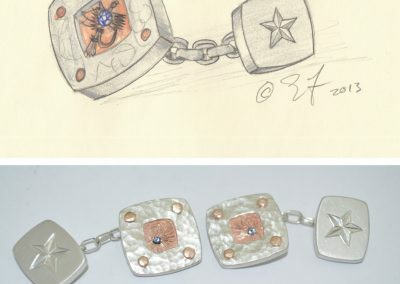 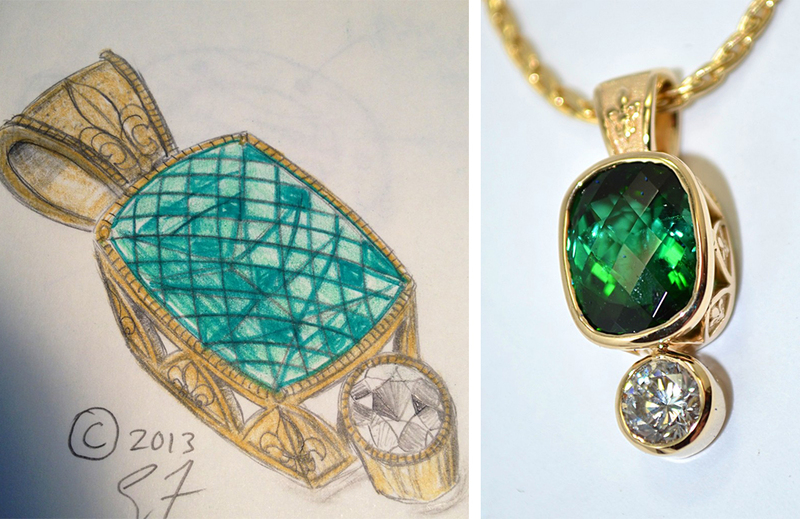 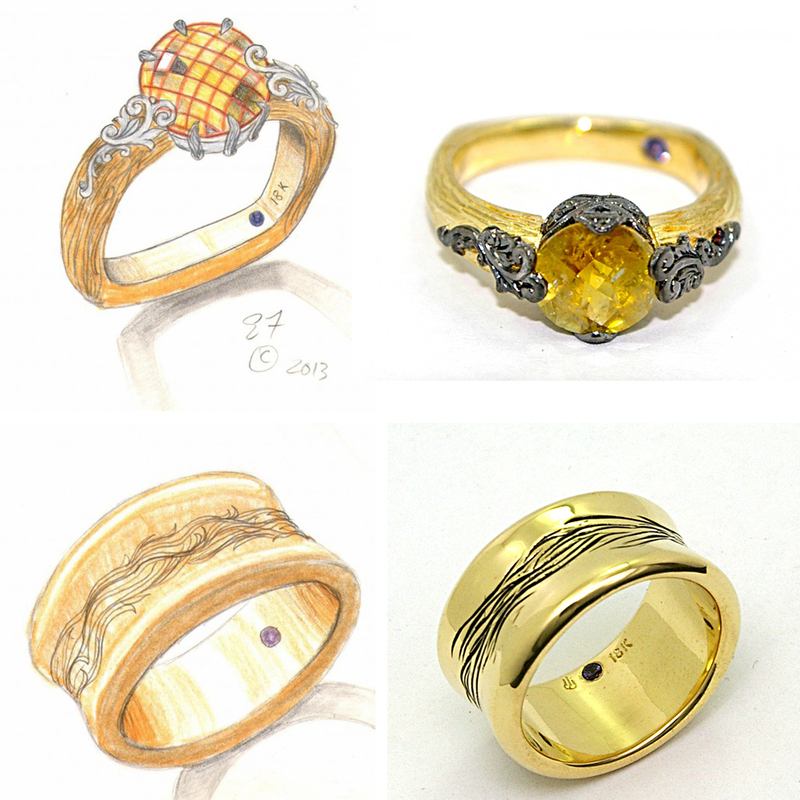 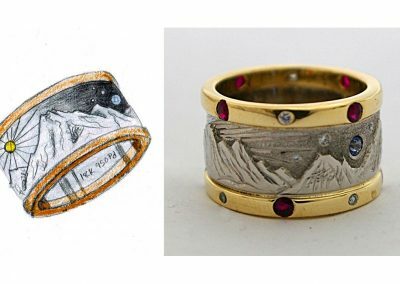 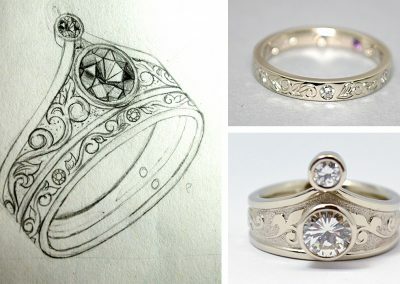 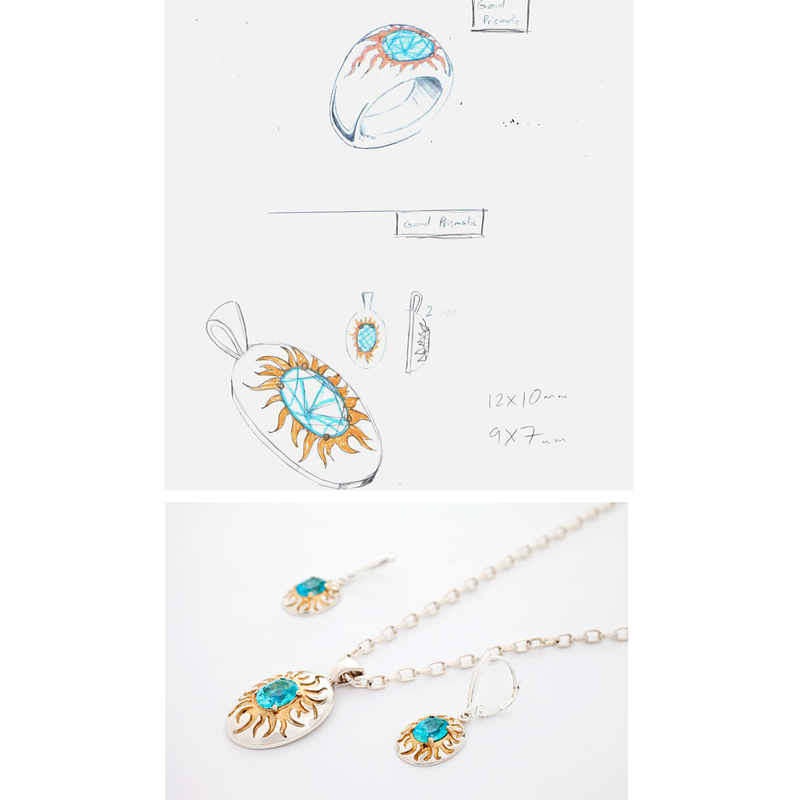 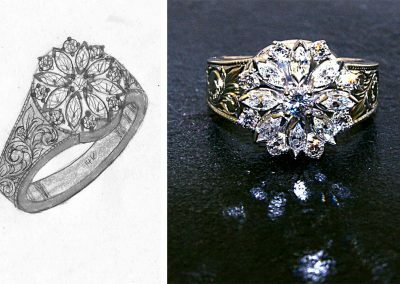 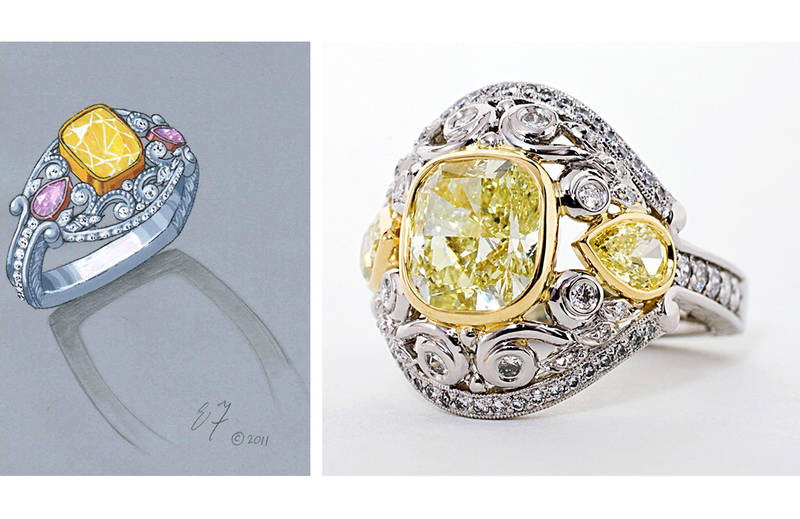 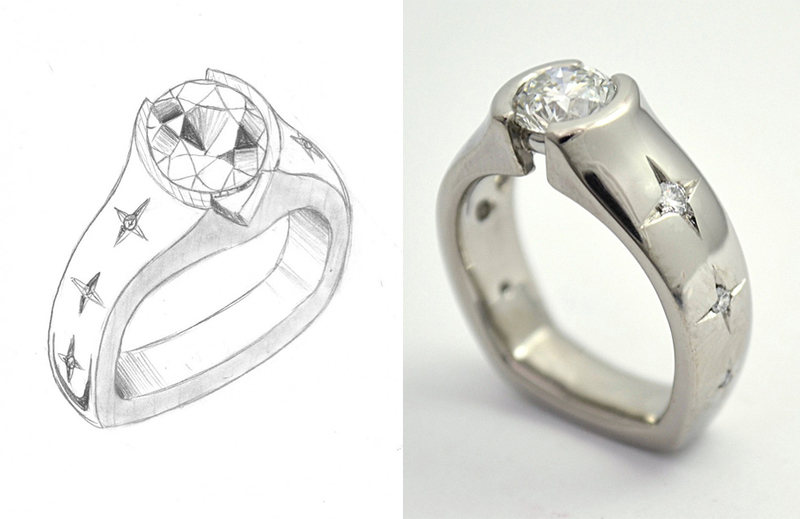 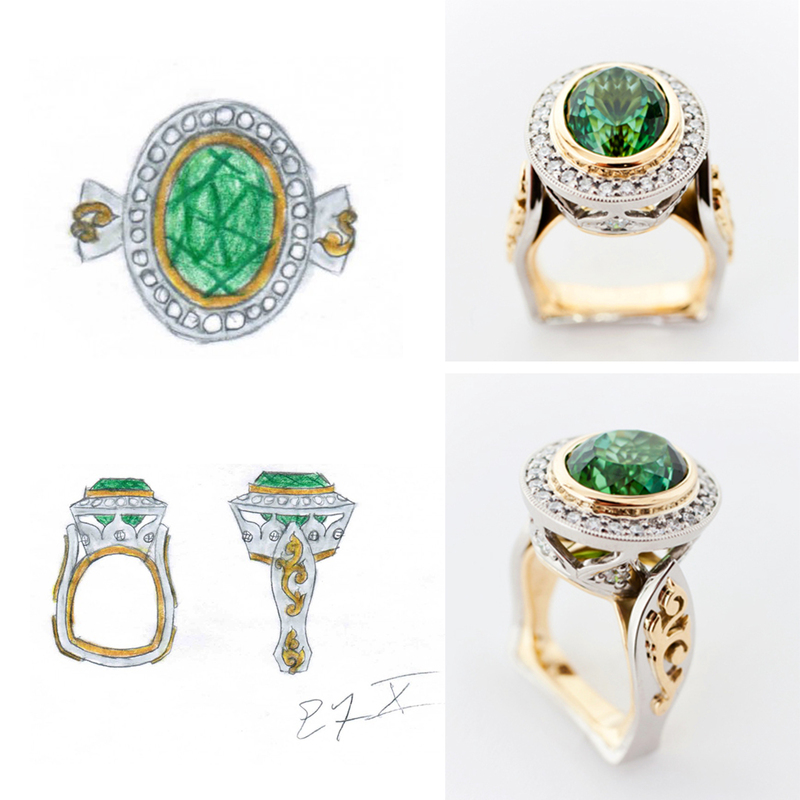 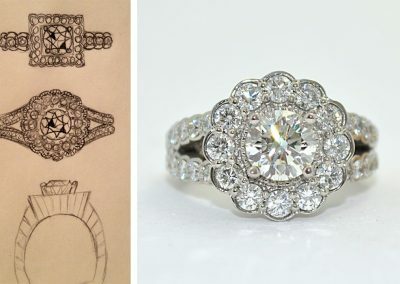 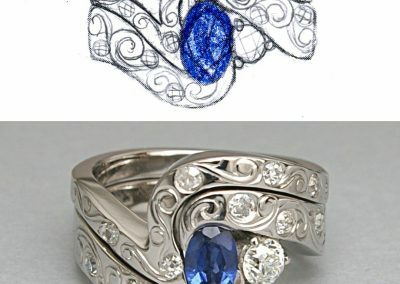 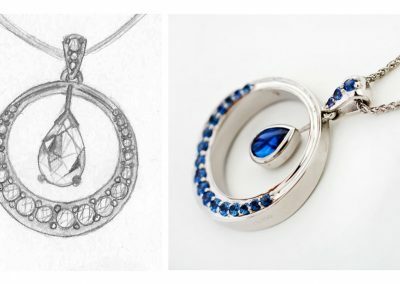 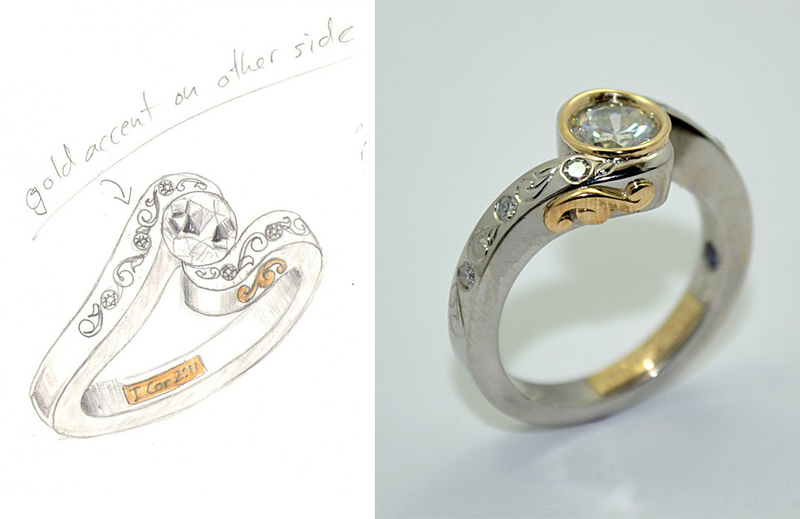 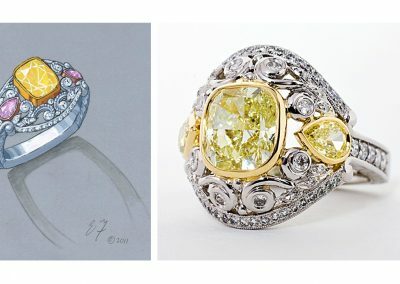 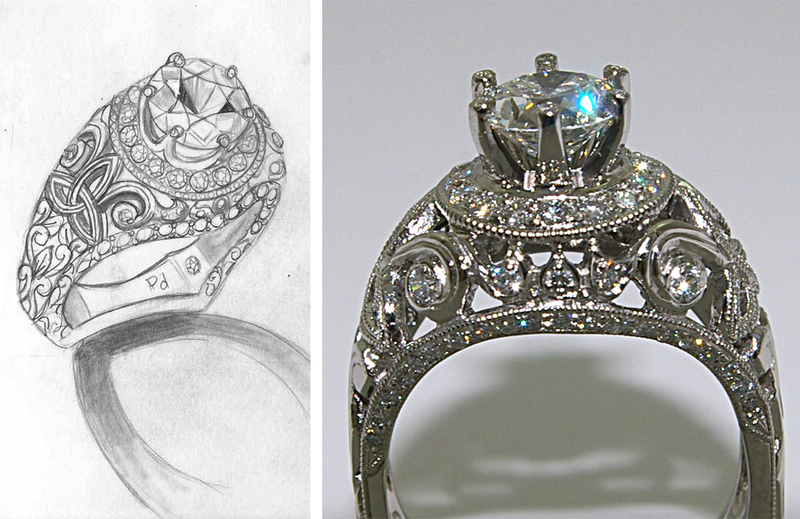 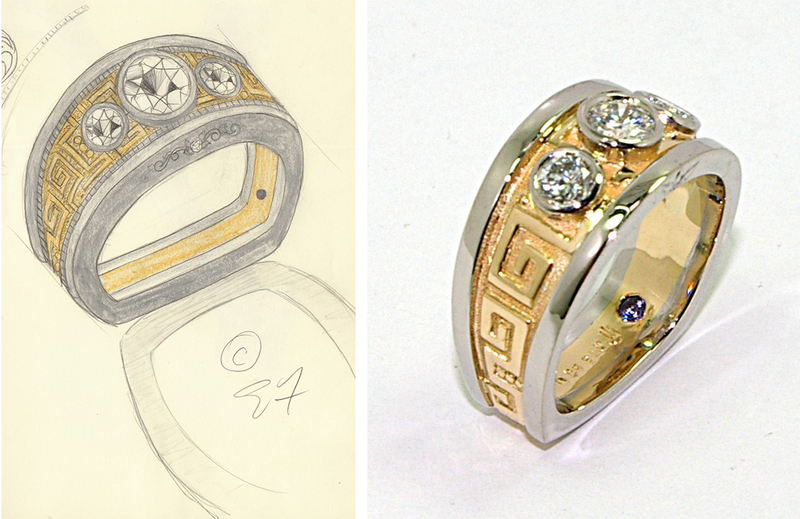 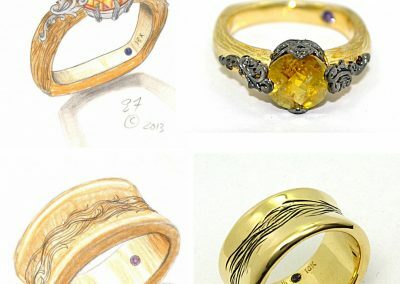 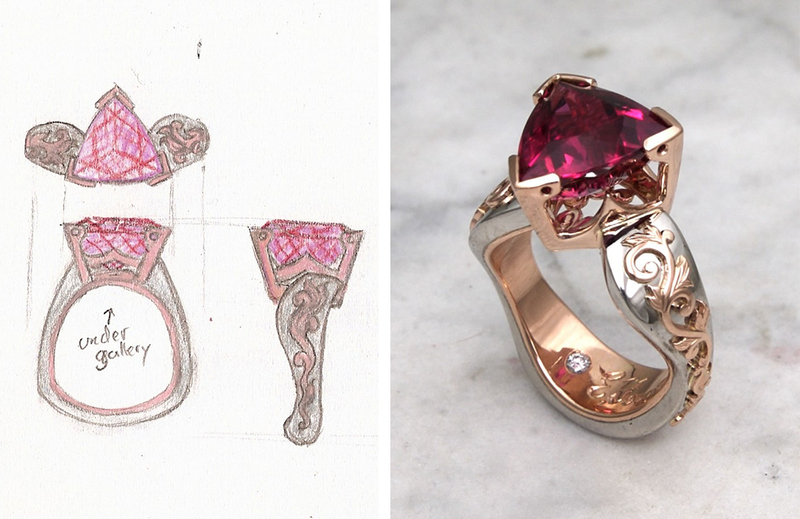 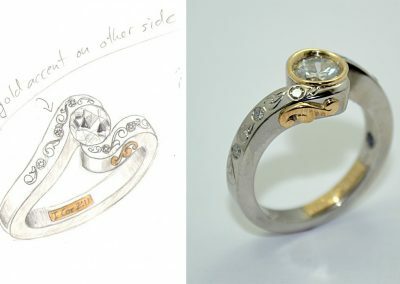 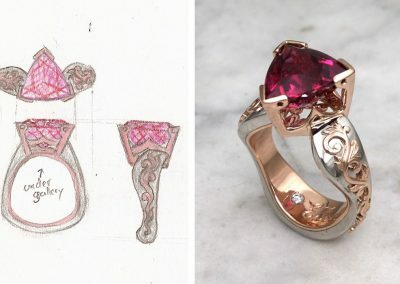 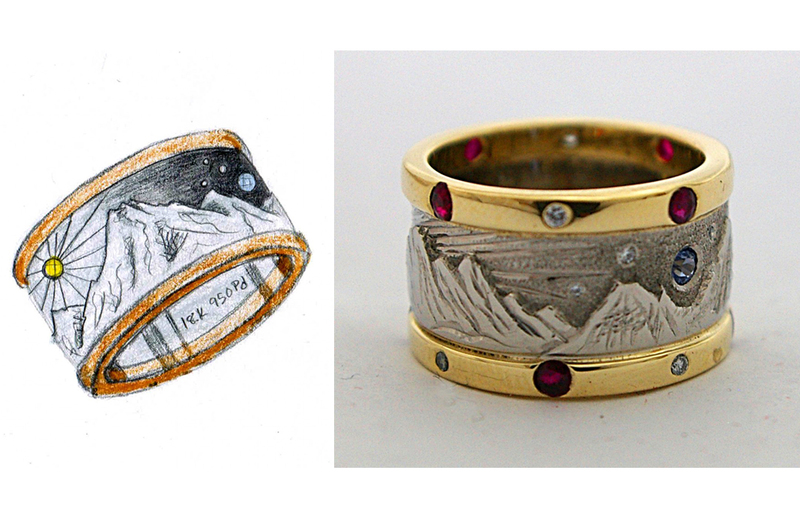 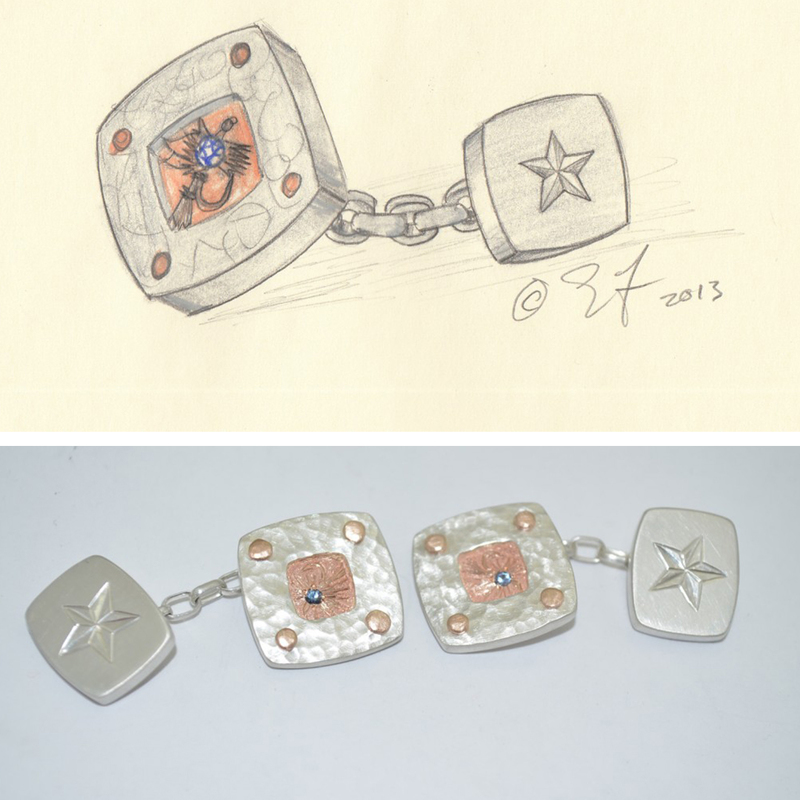 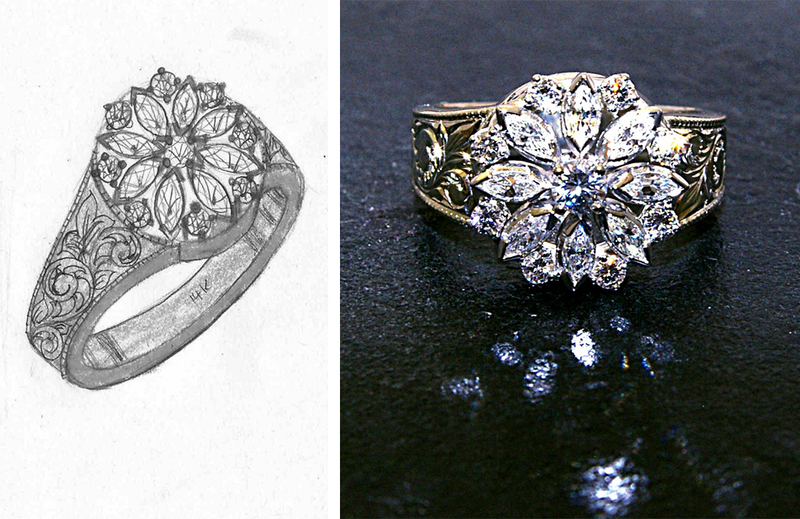 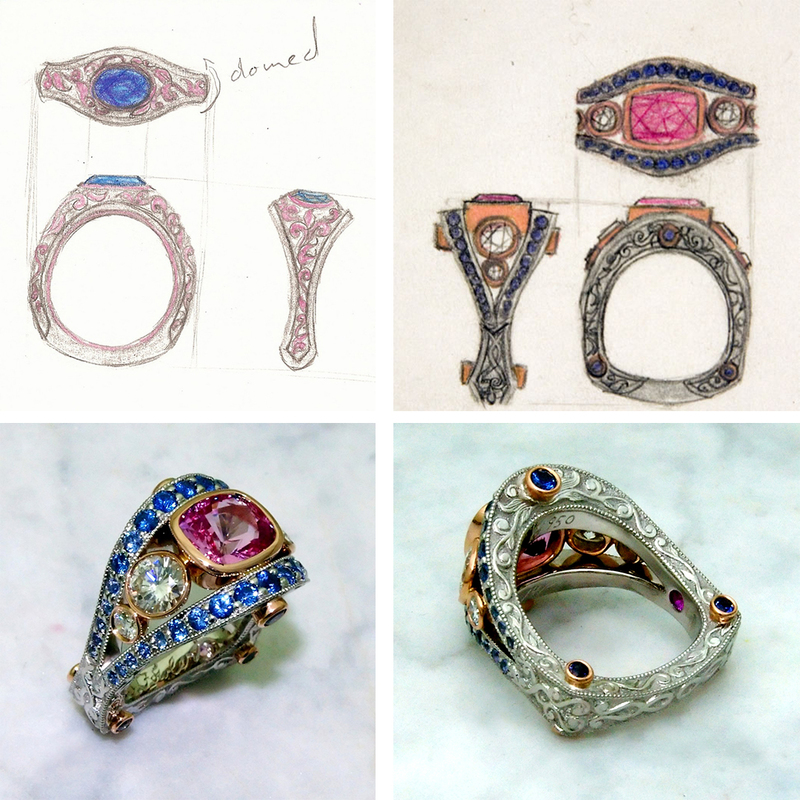 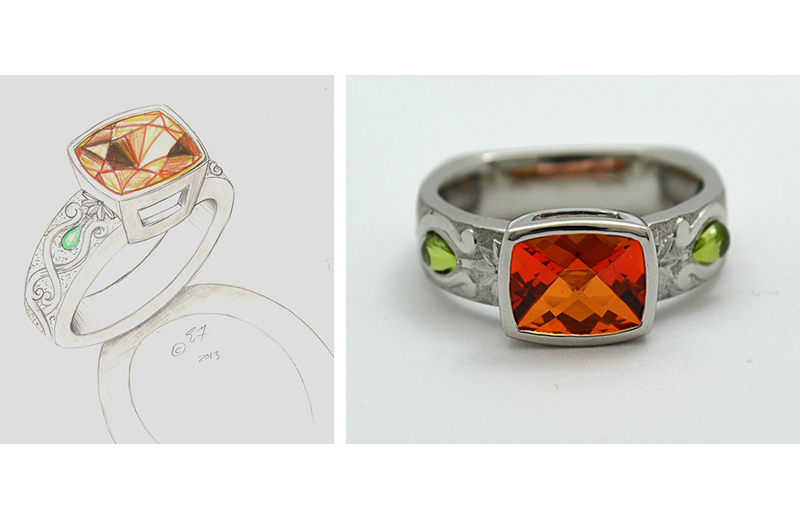 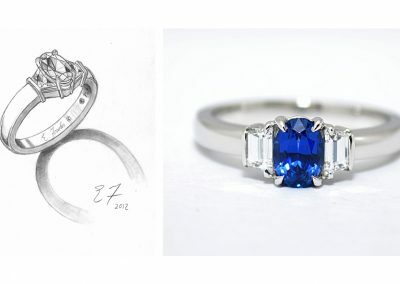 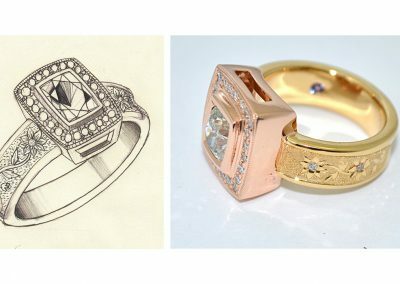 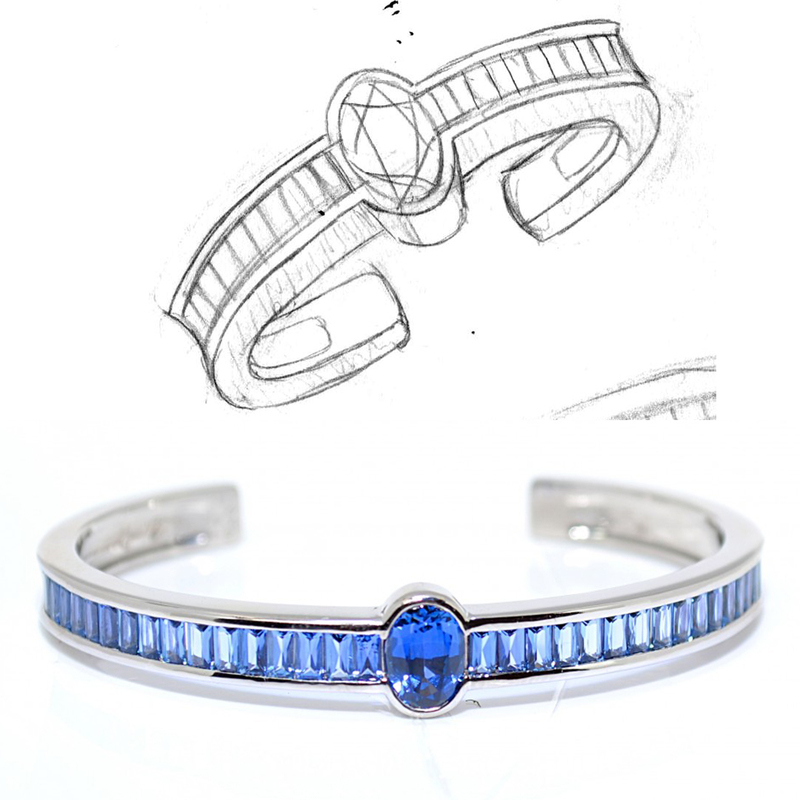 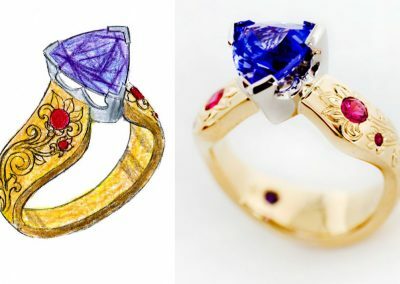 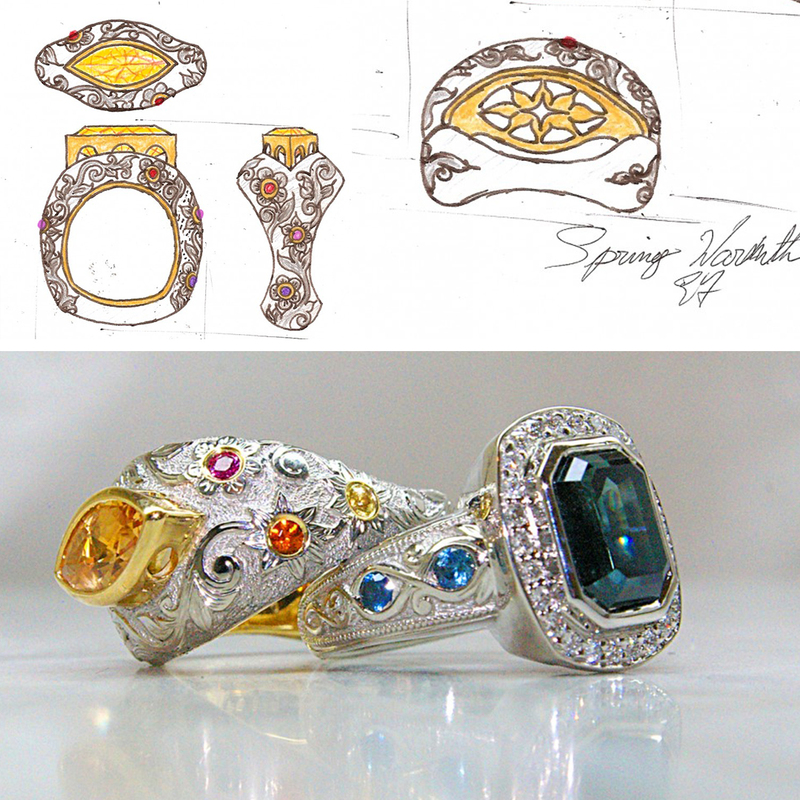 Our pieces start with a sketch, and end with a custom creation. 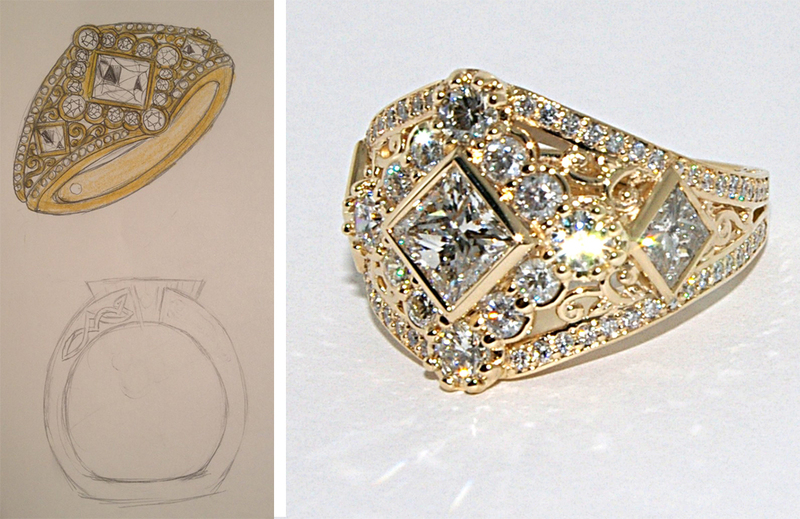 We sketch during your initial sit-down, showing a you what your piece will look like before you leave our table. 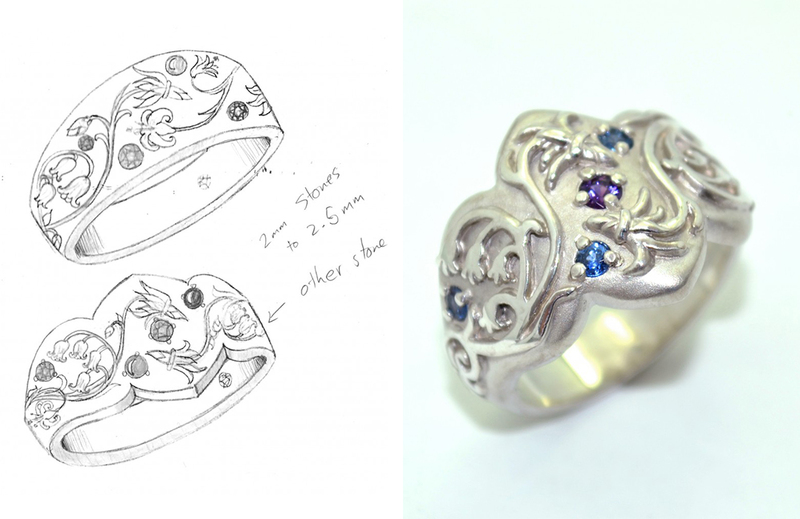 It’s an exciting step, but nothing compares to the feeling of seeing the piece finished in the flesh. 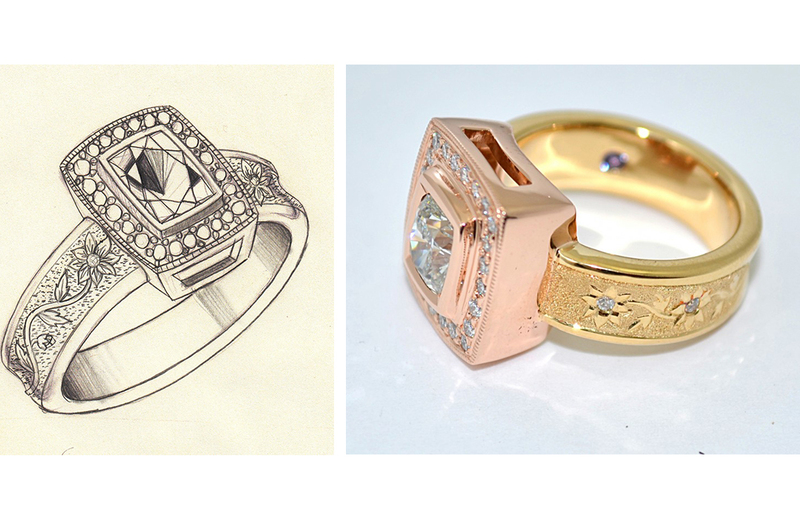 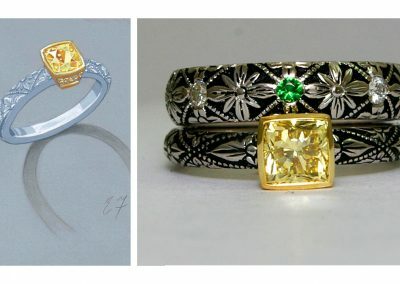 See how our drawings evolved into real pieces below. 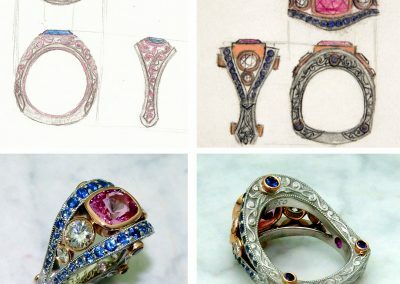 None of these pieces will be made exactly the same way again. 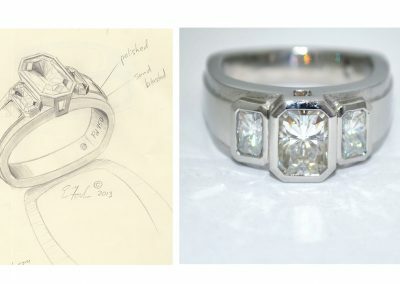 Take a look, then get in touch to start your own story.